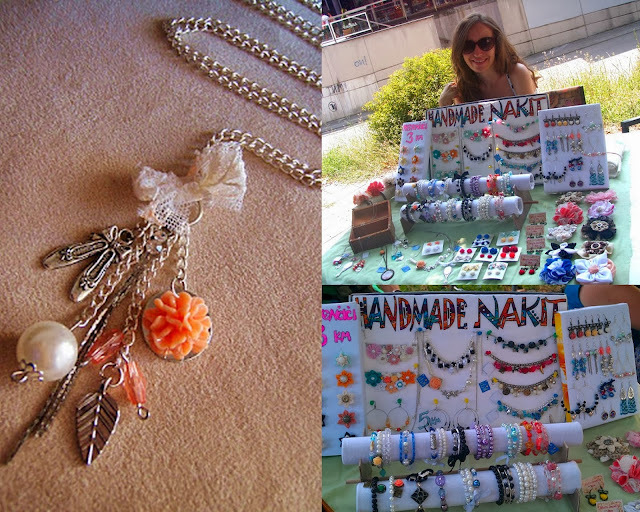 I would also like to thank our dear friends from Belgrade, who featured my jewelry on their blog Lu Lu nakit. They did such a great job, and wrote some beautiful things about Mixi's Jewelry Box, and made me so happy :) Here's a picture from their post, and you can read more in the link above. congrats Milana! i hope after graduation your life will be like the bracelet you made: pink and full of love! The pink bracelet is very cute! These are so cute and lovely! Great blog, btw :) would you care to visit mine as well? i love the black & white flowers!! Tema Prozračno. Autor slika teme: lobaaaato. Pokreće Blogger.